Geneva (VNA) – Vietnam declared to host the third International Wildlife Trade Conference (IWTC) in Hanoi this November within the framework of the 66th meeting of the Convention on International Trade in Endangered Species of Wild Fauna and Flora (CITES) in Geneva, Switzerland on January 11-15. Vietnam spoke highly of the UK’s initiative to host the fist IWTC in 2014, which had the aim of reaching a political commitment to deal with illegal wildlife trade by specific actions, said Deputy Director of the Vietnam Administration of Forestry Nguyen Ba Ngai. According to him, in recent years Vietnam has promulgated and amended various legal regulations concerned, strengthened legal enforcement and held more public campaigns to reduce wildlife consumption. 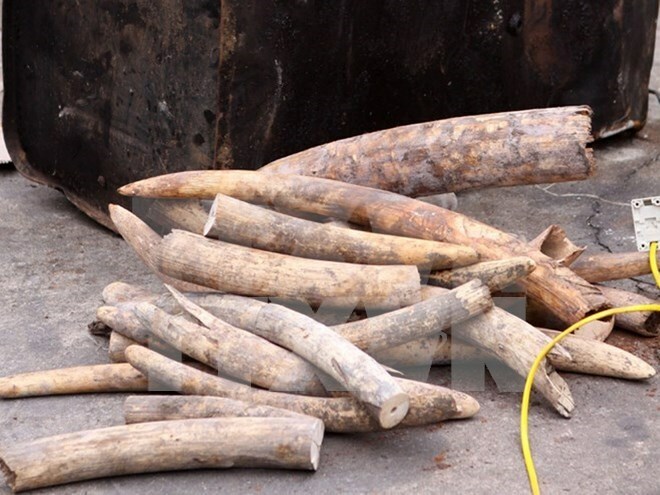 Ngai said Vietnam will continue taking the vanguard role in the region in fighting illegal wildlife trade, thereby raising its stature in the world. With 175 member states, CITES is currently the world’s largest protector of biodiversity, it does this by according varying degrees of protection to more than 35,000 species of animals and plants, whether they are traded as live specimens, fur coats or dried herbs.